We’ve designed 100s of multi page documents in our 11 years of operation, from Annual Reports to magazines, and everything in between. 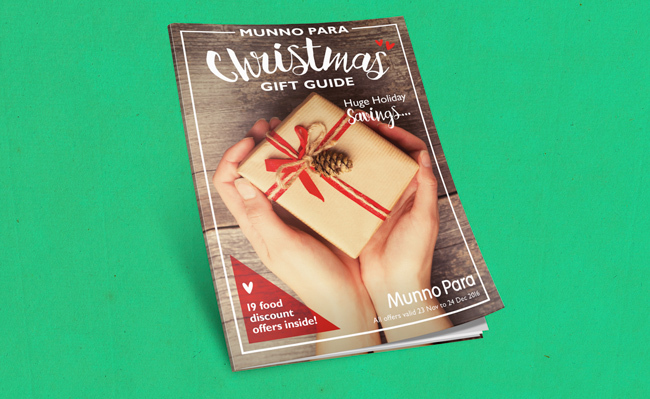 An example of such a document, with a difference, is the latest Christmas catalogue we designed for Munno Para Shopping City. The catalogue featured a mix of product or gift pages, ads and discount vouchers. The challenge was to include a wide variety of content in a practical but still aesthetically appealing publication that supported the brand. As well as the design we managed the printing and letterbox distribution of 65,000 copies of the publication.